Lompoc is blooming again. Once known for its vast flower fields, the city has been getting recognition in the past five years from its proximity to the Sta. Rita Hills appellation, which is making some of the world’s finest pinot noir. Subsequently, a portion of the downtown has been revitalized thanks to myriad wine tasting rooms that have opened there. But wine rooms alone do not a city’s cultural center make. Enter the Lompoc Theatre Project, a group of volunteers who have been working since 2012 to breathe life back into the historic walls of Lompoc’s original arts venue. Standing tall, if neglected, the nearly 90-year-old building, which served as the town’s “primary venue for entertainment, culture, and civic events” from 1927 until the 1970s, is poised once again to reign. 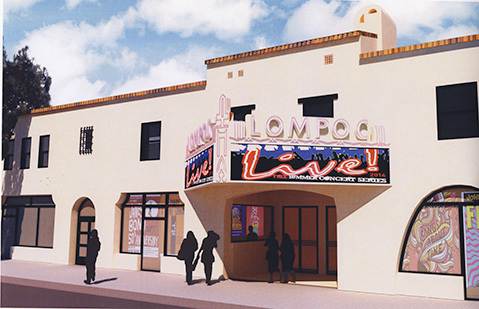 <b>AND ACTION!</b> Originally built in the 1920s, the historic Lompoc Theatre—pictured above in an architectural rendering—is getting a face-lift before reopening. Once reopened, the theater will be used for multiple purposes — from plays to films to dance performances to rehearsal space. 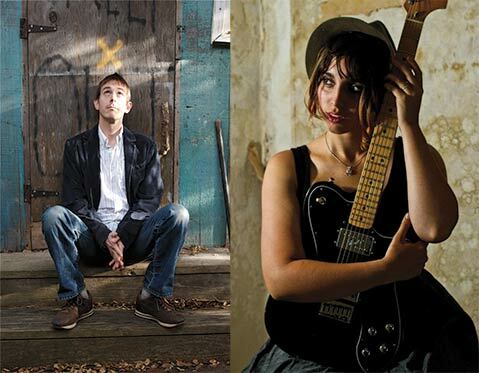 One particular series the Theatre Project hopes to offer is acoustic solo shows by well-known musicians. “The acoustics of the theater are legendary,” said Herrier. In fact, the initial show of the series takes place Saturday, May 23, at Stone Pine Hall, which will stand in for the yet-to-be-opened Lompoc Theatre. “This is the first of what we will call the Stone Pine Sessions,” said Herrier. The evening is a fundraiser for the Theatre Project and features Santa Barbara favorite Glen Phillips and opener Lompoc native Emily Wryn. “This is for us to show what’s possible,” added Herrier. Glen Phillips headlines the inaugural Stone Pine Sessions on Saturday, May 23, at Stone Pine Hall (200 S. H St., Lompoc). Doors open at 7 p.m.; Emily Wryn plays at 7:30 p.m. For more information, see lompoctheatre.org.